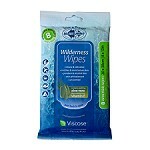 New Wilderness Wash is 100% natural. 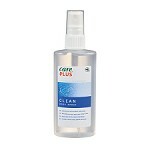 Use sparingly! 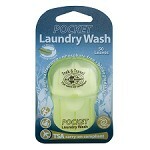 Wilderness Wash goes a long, long way and is gentle on fabrics but effective on stains. 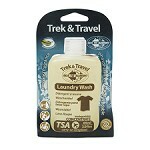 Although Wilderness Wash is rated biodegradable, Leave No Trace recommends washing dishes at least 100m from waterways so that surface tension is maintained (that way beneficial bugs can skate around and eat mosquito larvae).